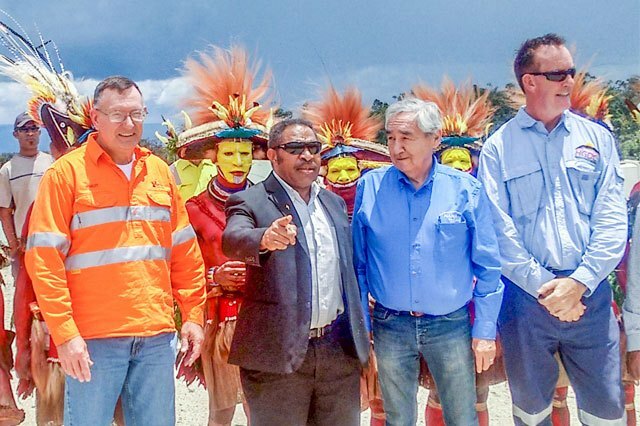 AN umbrella landowner company has thanked ExxonMobil for recognising landowner companies in the PNG LNG project. 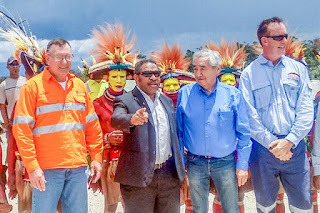 Hides Gas Development Company chairman Tuguyawini Libe Pirindali was speaking on Wednesday at Pari in Hela while welcoming a landowner company from Alaska in the United States of America. The Nana Development Corporation (NDC) will work with the HGDC on the project. Senior advisor and chief strategist Charlie Curtis of NDC subsidiary Nana Pacific, and president of NANA Pacific and senior vice-president of NDC Stan Fleming were accorded a traditional welcome to Hides. HGDC general manager Garry Tassel said the company was improving to Exxon standards all the time.